Maruti Suzuki Swift Facelift Hatchback Car India Revealed Accidentally? Maruti Suzuki Swift Facelift Revealed Accidentally? 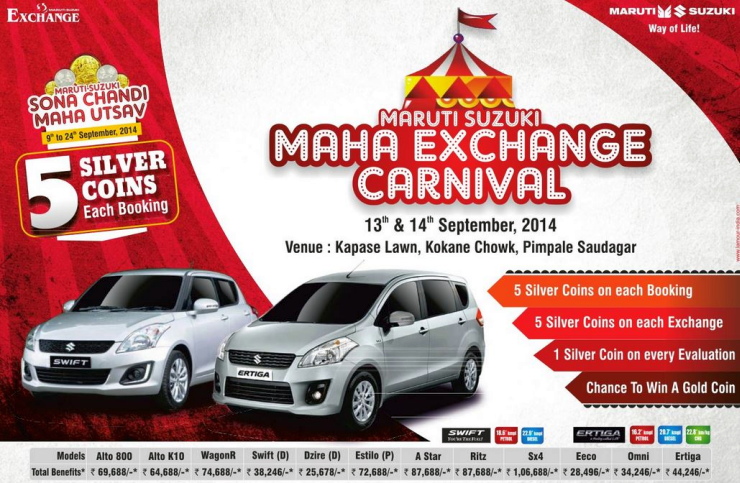 Soon, Maruti Suzuki will launch the facelifted Swift hatchback in India. The facelift will be the first major update that the car will receive after being in production in India for a little over 3 years. Meanwhile, the facelifted Swift might have just been accidentally revealed courtesy a dealer advertisement in a newspaper, which shows the new car, replete with its daytime running LEDs and revised alloy wheels. 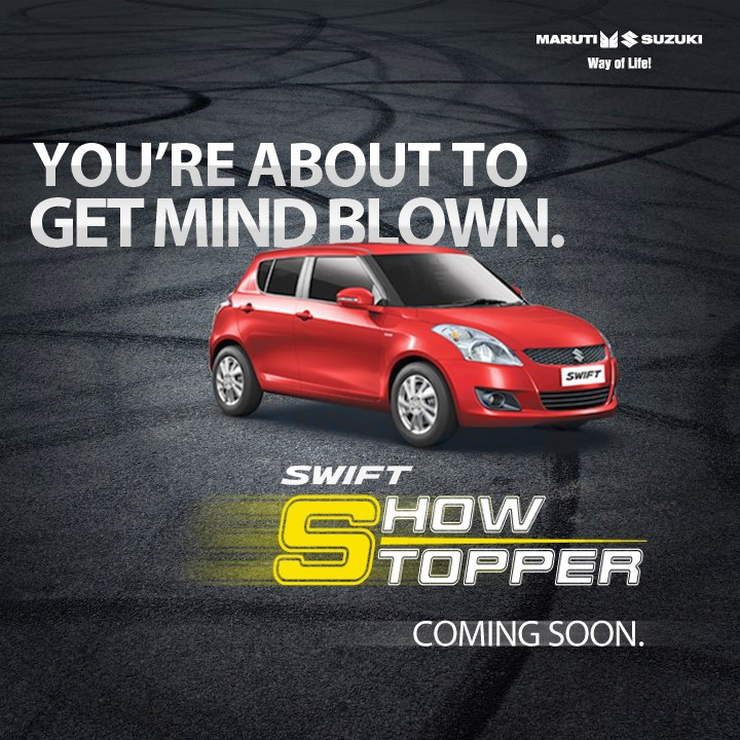 Maruti Suzuki, for its part, has teased the Swift Facelift on Facebook. Interestingly, Maruti Suzuki’s marketing campaign for the facelifted Swift stresses on the letter S, which could stand for sporty. With the campaign also hinting at “power-packed” machines, it could well be that the Swift Facelift could get more power and torque under the hood. Well, that’s one possibility. The current Swift uses 1.2 liter K-Series petrol (86 Bhp-114 Nm) and 1.3 liter Fiat Multijet turbo diesel (74 Bhp-190 Nm) engines. More power and torque for the Swift can be easily gained by shoehorning the 1.4 liter K-Series petrol motor (94 Bhp-130 Nm) of the Ertiga, and by endowing the Fiat Multijet turbo diesel engine with a variable geometry turbocharger, a move that translates into outputs of 90 Bhp-200 Nm. While the 5 speed manual transmissions will be standard on both cars, the petrol powered Swift could gain a 4 speed automatic gearbox as an option, similar to what is on offer in the Dzire compact sedan. Apart from mild tweaks in terms of cosmetics, the Swift Facelift will feature a few other feature additions on the inside. Keyless entry with a start-stop button, one touch window operation for the driver, automatically retracting wing mirrors and rear parking sensors are four such features that are expected to make it to the new Swift. The new Swift will continue to offer ABS+EBD and twin airbags as standard safety equipment on the top-end ZXi and ZDi variants. Expect the new Swift to be priced slightly higher than the outgoing model. However, the possibility of Maruti Suzuki endowing the Swift with more powerful hearts is quite unlikely, and here’s why. If Maruti Suzuki does add new engine options to the Swift in the form of the 1.4 liter K-Series motor and the 1.3 liter Fiat Multijet engine in a higher state of tune, the car’s pricing will head sharply northwards, especially on the petrol model given the fact that the Swift Petrol 1.4 will no longer be eligible for excise duty benefits conferred upon sub-4 meter cars sold in India. The more powerful Swift Diesel though shouldn’t have any such issues as the Fiat Multijet engine’s 1,248 cc displacement means that the car is in safe territory as far as the excise duty sops are concerned. Given Maruti Suzuki’s traditionally conservative approach to adding performance options to its car range, the hotter version of the Swifts are quite unlikely, with the facelifts expected to continue unchanged, in terms of the engines on offer. « 2014 Mahindra Scorpio SUV Facelift lined up for September 25th launch?